While a failing grade might be the most glaring indicator of an academic problem for your child, often the signs that your student is struggling are a bit more obscure. After all, most students aren’t chomping at the bit to tell their parents they are having a problem in school. Many students are down right evasive when it comes to their academic performance. As a parent, there are a few ways to break through the barrier of such evasion in order to help in determining if your student needs some extra help and would benefit from a private tutor. The best way to determine if your child needs a tutor is to look for the warning signs of a struggling student. The following are 6 signs a student may benefit from a private tutor. Your student says they are doing their homework every night in their room, and yet their grades are still subpar. If you, the parent, aren’t monitoring whether the homework is actually getting done, this is a tough one. Changing the location of where they are getting their work done is the first step towards determining whether further help is needed. If the student is authentically working on homework and studying in an environment where you are monitoring them, then a tutor would be a great way to assess what exactly is going wrong in the learning and studying process. While that may be true in very rare cases, there could be more underlying reasons for your student’s poor performance. Perhaps they weren’t listening well to the expectations of the assignment, or they have not yet built an effective study system for their tests. Don’t be afraid to contact a teacher to ask whether they feel there is a defined list of what your student should be working on. Oftentimes students miss or ignore simple directions with regard to their work. Unfortunately, their grades suffer as a result. When you attempt to help your student with a complicated problem or idea, they get angry, anxious or frustrated. This is a glaring sign that your student needs a tutor. The worst thing that can happen for a student is that they get in the habit of giving up when the work gets too hard. As a result, a domino effect can occur in the learning process when they altogether miss concepts that are the foundation of a larger problem set. For example, if a student gives up at the beginning of a semester in Math, they will continue to struggle throughout the semester without properly grasping the concepts. Accessing a tutor here will help the student to, not only catch up, but to work through their apprehensions and frustrations with the concepts. Your student procrastinates and makes ample excuses for why they aren’t getting work done. Sometimes the procrastination is a sign of a student that not only doesn’t want to work, but also avoids homework because they aren’t sure how to do it. In these cases, a tutor is a great solution for your student. A tutor can help your student stay on track, organize, and tackle these projects that the student wants to forget about. Your student is simply bored with school. Sometimes advanced students perform poorly because they are simply apathetic to the lessons they are learning in school. A tutor can be a great asset for the advanced learner as well. Consider this: A student that scores a perfect ACT score but has a 1.5 GPA. Obviously, this student needs to be challenged academically. A tutor can not only offer some guidance for this student and their daily work routine, but they can also offer a more challenging curriculum for the student to complete on their own time. Your student blames extracurricular activities for taking up too much time. Well, the answer to this one isn’t as simple as removing the activities altogether. If your student is spending too much time concentrating on mastering their team’s playbook or planning fundraisers for their clubs, then certainly something needs to change. Yet, a few things might be happening, so don’t go and take them out of every activity right away. 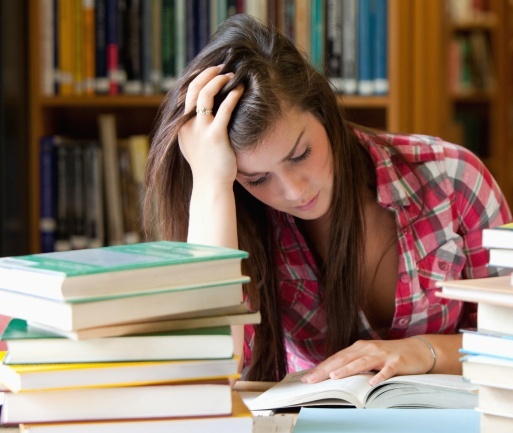 Sometimes students concentrate on these activities because they are insecure about their academics. A tutor is a great option for helping the student building their academic confidence. Other times, some students need a tutor to help organize their time and their academic priorities. The answer might not be to eliminate the extracurriculars, but to figure out a balanced system that works for them. Overall, becoming a more active participant in your student’s studying can have a big impact. Recognizing the warning signs of a student that needs some extra help with, in the end, have the greatest impact. Hiring a tutor doesn’t always need to be a long term commitment. Oftentimes, a tutor can be used to help get your student back on track. Success in academics isn’t always an obvious path, and many students need help to create a system that works for them. To learn more about private tutoring options that may be available for you child please contact Chicago Academic today and learn how we can help!